We all know one thing about eyelash extensions. You can either get them perfect, or you can make them look like a complete mess. It is one of those things that there is no in between. Unfortunately, we see more people who have got it wrong than right. When applied well, lash extensions can be an amazing enhancement for your looks that would make you look lively and pretty without really having do a full beat on your face. Your lashes would make sure that you look sultry and stunning just when you wake up in the morning without any effort at all. 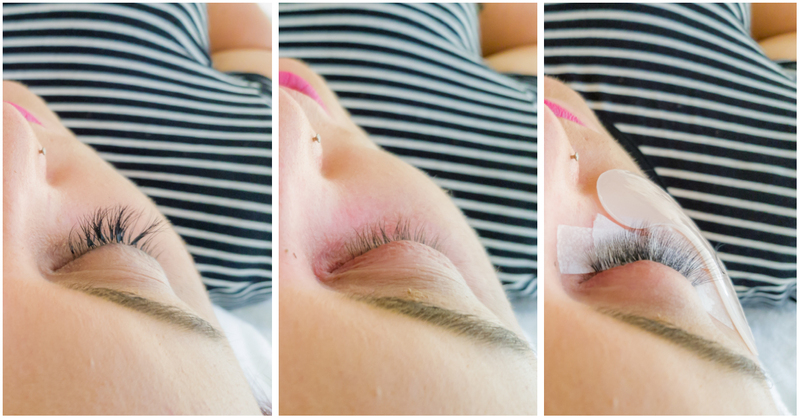 Let us put together a complete guide to how eyelash extensions SHOULD be done for once and for all! There is a simple truth that applies anywhere you need to have an intricate process done. Low-quality things bring low-quality results. When it comes to your lash extensions, you are dealing with one of the most important organs in your body, and it is a semi-permanent process that requires great attention and care. Never try to cut corners there. Always go for the best technician you know who would use nothing but the best quality glue, tools, and extensions for you. On top of that, make sure everything is properly cleaned and the salon that you are using is following a high standard when it comes to hygiene. Now that you have an experienced and good quality technician that you can go to, you need to make sure that your lashes are well prepared to go through a lash extension process. First of all, they need to be well grown and strong lashes to make a good base for your extensions. If your lashes are too small or have been damaged by previous poor extension processes, you need to wait until they are fully grown. When you try to apply an extension to a poorly grown lash, you are not only getting a poor outcome, but it will also not last that long. If your lashes are in good length and you are ready to go to your appointment, always make sure that your eyes are properly cleaned and dried. Do not leave any traces of makeup since it would negatively affect the adhesive used to attach the extensions to your lids. Using a small amount of toner on the edge of the lid to completely take away any invisible traces of makeup is also good in your prep. One of the main advantages of lash extensions is that they look as close as possible to your natural lashes, making them more flattering even if you are not wearing any makeup. To get this advantage, it is essential to always apply one extension lash to a natural lash at a time. Some technicians like to put a few lashes together to create a fuller look on your lashes, but that can completely take away the “natural” look that you are trying to achieve with the lashes. They are mostly doing it to save the time in the process, which can lead to damaging repercussions such as prematurely pulling out natural lashes. Every time an extension is applied, give it a few seconds to settle on the place before going for the next. This would make your outcome look neater and better in place. Here’s a photo of a client who came in with multiple extensions per natural lash. I did a full removal (middle photo), and then applied a new set of extensions. You can see in the final photo how the lashes look more fluffy and natural which exactly what we’re trying to achieve. One of the most common reasons for lash extensions to come out extremely unflattering is lash technicians adding too much glue to save the time they spend with one client. When they add a dollop of glue, they can easily stick in a few lashes at a time and quickly finish the job. With the fuller and longer look it gives to the lashes, the client maybe momentarily pleased, but such extensions do not last long and they can also be very damaging to your lashes. When the lash extensions and natural lashes clump up together due to using too much glue, they tend to fall out in a bunch causing bald spots on your eyelid. This is not only really unattractive, but you will also have to wait with your bald spots until a full growth circle of your natural lashes (4-6 weeks) until you can go for another extension again. Here’s a photo of a client who came in after getting lashes at another salon who had used far too much glue (it’s quite common!) – you can see the glue clumps. Then the after photo shows what I was able to do to repair the work! The longevity of the lash extensions mostly depends on the strength of the adhesive or the glue used to attach your extensions. One of the critical things that affect the adhesive power of the glue is the humidity in the air around you. Ideally, the humidity in the room should be between 50% – 70% to ensure it would not affect the glue in any way. Even though it may sound not too significant, you will surely find a difference in the way your lash extensions set and last if the humidity is too high when you applied them. The distance you set the extensions is extremely important to ensure a fully natural feel for the entire time you have the extensions on. A common complaint of those who have experienced a poor lash extension is the feeling of irritations around the edge of the lid. 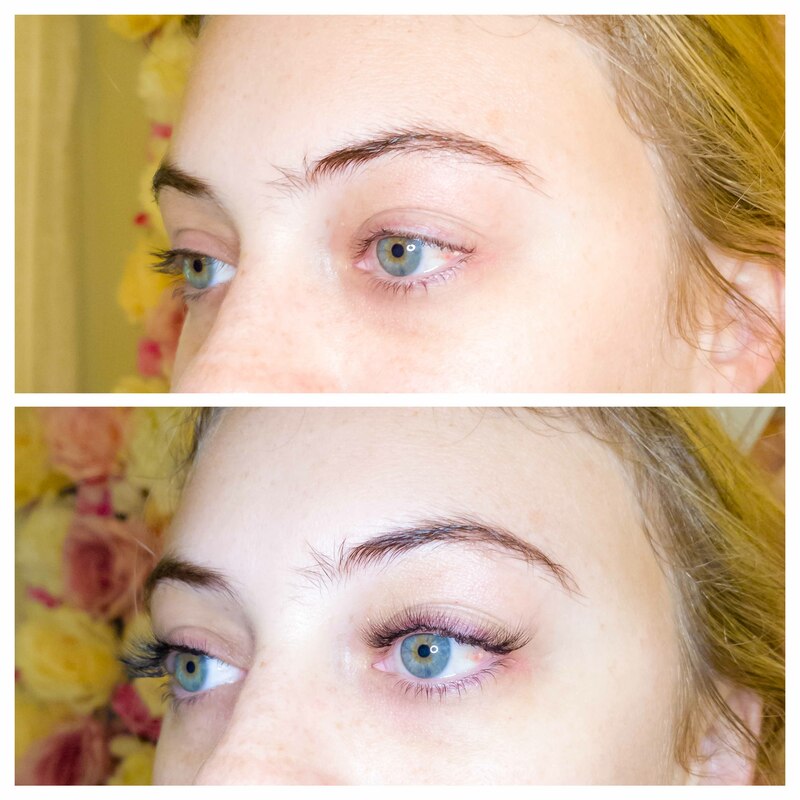 This happens when the extensions are applied too near to the roots of the natural lashes. The extensions should set half a millimeter away from the edge of the eyelid to avoid any kind of irritation. This is the ideal distance to get the perfect “natural” look to your lash extensions as well. If you think that it sounds too intricate, the reason is that it is. The best lash technicians take at least 2 hours to complete a full lash extension. They are the ones that look perfectly natural while enhancing your eyes and the facial features at all times until your next appointment comes! If your salon follows these guidelines then your lashes should not only look great, but also cause no irritation, and last as long as possible (just remember not to get them wet for 24 hours! ).